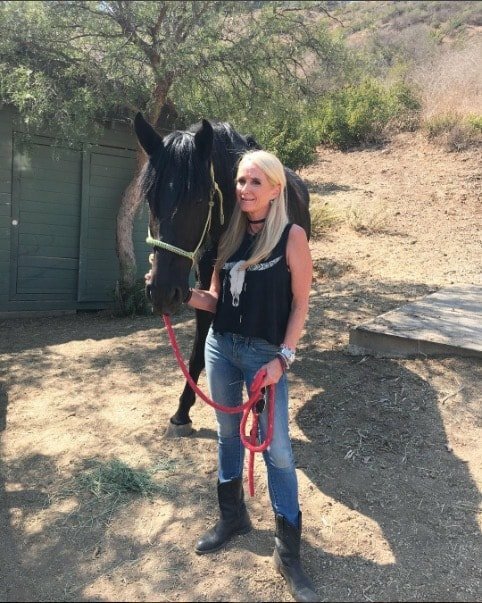 Horse Rescue Has Kept Kim Richards Sober; Says She's Happier Than Ever! Kim’s family is more than supportive and will be participating in an upcoming fundraiser Kim is planning. Since Lisa Vanderpump also owns a horse (not just minis!) loves riding, and is super passionate about animal rescue I predict we’ll see her visiting Skydog and that Kim’s event will be featured on the upcoming season of RHOBH. Kim explains, “I found something healthy and beautiful to put myself in to, which doesn’t leave much room for the negative stuff.” I wonder if Lisa Rinna has lots and lots and lots (and lots) to say about this? Hey, so long as it’s positive somethings, right?! This is night and day from the Kim we watched on the infamous Dr. Phil meltdown. I am truly happy for Kim, and thrilled that she’s found peace and contentment. This is wonderful news to report. Also, I hope Kim’s stance about avoiding negativity prevents her from returning to RHOBH. Not because of my personal preferences, but because she sounds so happy and healthy that I would hate for her to return to a negative environment and jeopardize all the progress she’s made. That said, I would LOVE a cameo from Kim at Skydog to see her work and get a glimpse of this amazing organization in action! TELL US – ARE YOU PROUD OF KIM? WOULD YOU WANT THE NEW KIM TO RETURN TO RHOBH?